Do a search on Mr Amol Gupte and your initial surprise is to discover how thin his profile on LinkedIn is. Clearly, Citi's head of Asean and Citi's country officer for Singapore is not in the job market. Indeed, when I met him at his 21st-floor office at Asia Square last Tuesday, he'd just received a note from his human relations folks congratulating him on his 29th anniversary with the bank. Citigroup, or Citi as the financial services giant is also called, is known to be a crucible for talent, much like Unilever is for the consumer goods industry. Some of Singapore's top bankers grew their wings in the group. That begged the question: Have you not been tempted to move? While it was not his first job, he has stayed loyal to the bank, says Mr Gupte, because at many points of his career - just as he'd begun to feel a level of boredom - the institution had come round to offer him a fresh challenge. "I think of Citi as a canvas with the opportunity to paint across it," he says. "I used to be a product vertical champion. Now, I have joined a horizontal job spanning investment banking and advisory, corporate banking, consumer banking, operations and technology, controls and governance across six markets. That breadth and depth is not common and speaks to the power of Citi. You think beyond boundaries. Citi is paying me to do all this learning." Three decades ago, the Britain-born Mr Gupte was hard-selling computers for the Indian IT major HCL in Mumbai when a friend suggested that he apply at Citi, which was rapidly building its consumer franchise in the country. 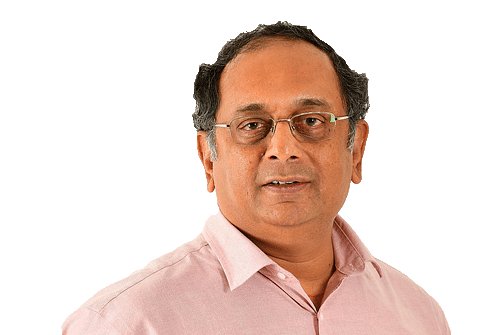 Accepted, he started with the consumer bank and after four years, moved to the corporate and investment division, just as the late prime minister Narasimha Rao liberalised the economy. The corporate bank, he says, felt like a different bank altogether, staffed with big, confident personalities who walked with a swagger. From there his international career blossomed. First, it was to London, then New York. In the four years before his move to Singapore in mid-2016, Mr Gupte was posted in Hong Kong as regional head of treasury and trade solutions for the Asia-Pacific region. Citi employs some 9,000 people in Singapore, making it one of the largest employers on the island outside the Government. It operates 18 branches here and its currency trading floor here is one of the three largest globally for Citi. Since the global financial crisis, successive CEOs have focused on turning Citi into a leaner, more efficient operation rather than one fixated on being in the top three in every jurisdiction. The Institutional Clients Group, for instance, has been trimmed from 32,000 customers worldwide to around 14,000. In Singapore, the bank also raised its TRB - or total relationship balance - last year to standardise the benchmarks globally. There are also higher thresholds for Citigold and Citigold private clients segment. "Businesses that have global aspirations benefit the most from banking with us," he explains. "At the high end, all big Singapore corporations are international. At the middle market, 80 per cent of our clients do business in at least four countries. My competitive advantage is when people want to do business in multiple countries. Likewise, in consumer banking we used to go all the way down the pyramid. Now, we are far clearer on who we want to do business with." Mr Amol Gupte is head of Asean and Citi country officer for Singapore at Citigroup. He is 53 years old and a British national. Born in London and raised in Mumbai, India, he has a bachelor's degree in statistics, and an MBA from Bombay University. A 29-year Citi veteran, Mr Gupte began his career with the computer company HCL before joining Citi's consumer banking business in Mumbai. He was later transferred to London and New York. From 2012 to 2016 he was based in Hong Kong as regional head of treasury and trade solutions for the Asia-Pacific. Married to a housewife, the Guptes have two sons. Citigroup is the world's fourth largest financial services company, with annual revenues of about US$68 billion (S$90 billion). It has a physical presence in 98 countries, facilitates US$4 trillion in transaction flows daily and serves more than eight out of 10 Fortune 500 companies. It has 9,000 employees in Singapore, making it one of the largest employers on the island. Such streamlining naturally raises the perennial worry of jobs. Citi, says Mr Gupte, is not looking for drastic cuts either in its branch network or the staff count on the island. However, like other banks, it too is adjusting to industry developments. Forty years ago, it was all about branch networks. Then, the focus turned to phone banking and to this day, credit cards come with a 1-800 number at the back. But at a recent strategy session, Citi bankers pondered whether a phone unit was needed at all. Citi recently launched a card that has a QR code rather than a phone number for credit card activation. The idea is to get people to download the Citi app that can perform almost 90 per cent of the functions transacted over the phone. For the rest, there is the phone service. "It will have an impact on the jobs we have. These days, 40 per cent of card origination is not done in malls or subways but online," he says. "So, it is tough to project net impact on jobs over seven years but at the same time we are hiring a lot more relationship managers. And data, analytics and cyber security divisions all continue to grow. There i s also a lot more emphasis on compliance and governance. These are large growth pockets." I pushed for an early date to see Mr Gupte because I wanted to tap his insights as Citi's head of Asean at a time when Singapore has just taken over as Asean chair. Asia is the largest market for the bank outside its US home, with revenues of about US$14 billion (S$18.5 billion) annually, divided between the consumer and institutional franchise. Asean accounts for a third of the business and Mr Gupte is enthusiastic about its growing middle class and galloping wealth. What progress is he seeing in Asean as an economic community? Mr Gupte confesses his disappointment at the slow pace of financial market integration. The flows, he says, are not impressive, nor are they likely to build up rapidly, even with Singapore in the chair. Yet, there is a more interesting dynamic at play in the combination of e-commerce operations and faster payment networks such as mobile wallets. "A lot of the Asean fabric has similarities," he says. "Asean e-commerce companies may not be looking to conquer Australia or Japan but they feel that if you can do well in Indonesia, you might be able to replicate the model in Vietnam. Such companies will drive a level of infrastructure alignment that hasn't happened as yet in Asean." He is also chuffed to notice that Singapore companies, whether in electronics manufacturing or services, are beginning to shed their Asean moorings in favour of a truly global perspective. "It is not just about Singapore and Asean. You see companies doing business as far away as Eastern Europe and Africa. That's the shape of the world to come as well. Commerce has become so global." Surprisingly, even as it is a well-banked city, Singapore continues to be one of Citi's fastest-growing markets. While he is not allowed to share numbers, consumer cards, wealth management, investment and transaction banking are all growing superbly, he notes. That said, one challenge he is yet to overcome is to convince his Singaporean staff to try postings overseas. Those that do have found it an enriching experience and the bank has duly rewarded them: Mr Gary Chan, head of the corporate bank, spent seven years in Vietnam; Ms Susan Kwek, head of operations and technology, spent several years in Hong Kong; and Mr Lee Lung Nien, Citi's CEO in Malaysia, is a Singaporean who came up in the bank's markets business. "There are good examples like these but I wish there were more," he says. "People we send overseas and flush through the network value us in a different way. That's why I would like to send more Singaporeans out." One touchy topic with top executives here tends to be access to talent, especially in recent years after the Government started tightening up on overseas hires. Mr Gupte says 80 per cent of Citi's staff on the island are either locals or permanent residents even as there are pockets, such as in technology and trading, where the foreign component tends to be larger. Many of these people do specialised functions such as trading complex credit instruments and G-10 currencies. "There is every intent to get Singaporeans trained in these roles but it is a global talent pool that is moving across," he says. "In both technology and trading, given our large footprint here, we have never found it difficult to get the people we need." 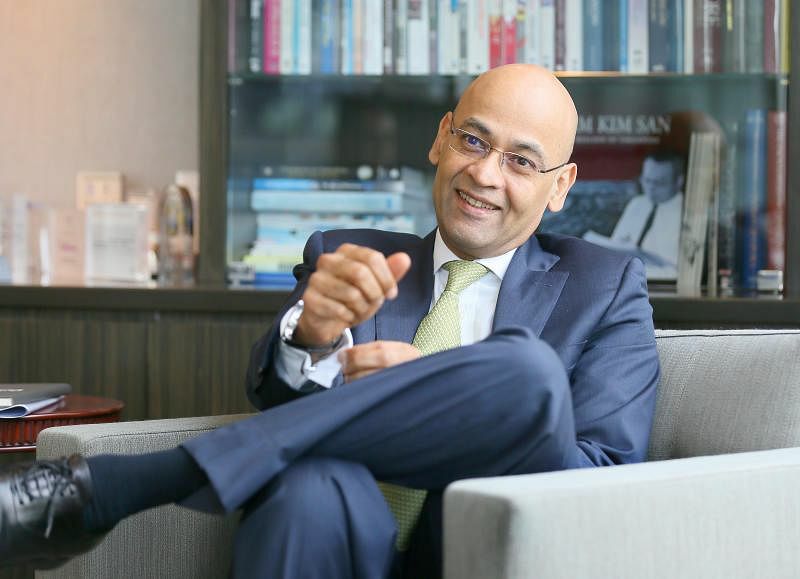 Mr Gupte spent four years in Hong Kong before moving to Singapore and the inevitable question surfaces: How do the two compare in financial services? His response is to characterise the two cities as siblings that started out in life together but drifted apart in later years. "Today, Hong Kong stands for being a gateway for capital and commercial flows to and from China. Singapore is very different: a large offshore banking centre, a very large FX centre - those flows won't happen around Hong Kong. As a result, you have large treasury centres, even of Chinese companies, here in Singapore." Married to a housewife, the Guptes have a son in his final year in college in Los Angeles and a younger one in school in Singapore. Given their Indian roots, you'd have thought that cricket would be a passion but it appears that all three males in the Gupte household are huge fans of the British football club Arsenal. What would he like to do next? "It is too late to be a football coach," he quips. "But that is a fascinating sport and you combine everything from tactics to people development. Besides, your performance appraisals happen twice a week - on the pitch!"